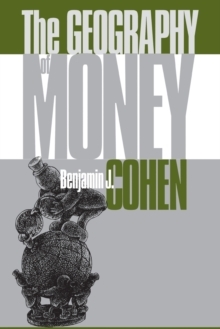 Benjamin J. Cohen has been one of the most original and influential writers on international political economy. 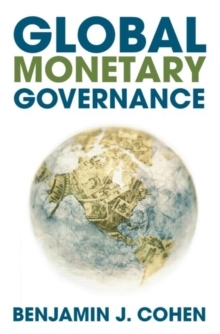 This book provides an overview of his contribution to the field, grouped around the central theme of global monetary governance. The book is divided into three sections:challenges to systemic governance - examines the challenge of governance of the international monetary system looking at such crucial issues as monetary reform, the growth of capital markets and financial globalizationdealing with financial crisis - looks at efforts to deal effectively with financial crises, analyzing the relationships between governments and banks in the management of international debt problems and the case for capital controls. 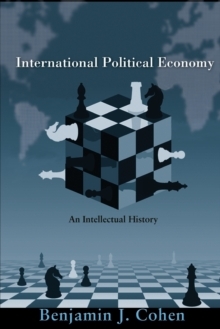 There are case studies of the Asian financial crisis and several other key instances of instability in world marketsthe new geography of money - analyzes the crisis of legitimacy created by a global system where governing authority is exercised now more by market forces than by sovereign states. 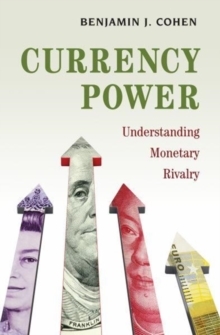 It explores the geopolitical implications of the competition between the two most widely used currencies in the world today, the US dollar and the Euro and spells out the main implications for policy makers. The concluding chapters evaluate the merits and prospects for the two most widely discussed policy alternatives available to governments responsible for the world's many less competitive currencies - dollarization or monetary union.